This is from the air traffic control radar at Guantanamo, Cuba. The eye is looking pretty ragged but that is to be expected as it encountered the rough terrain of Jamaica. 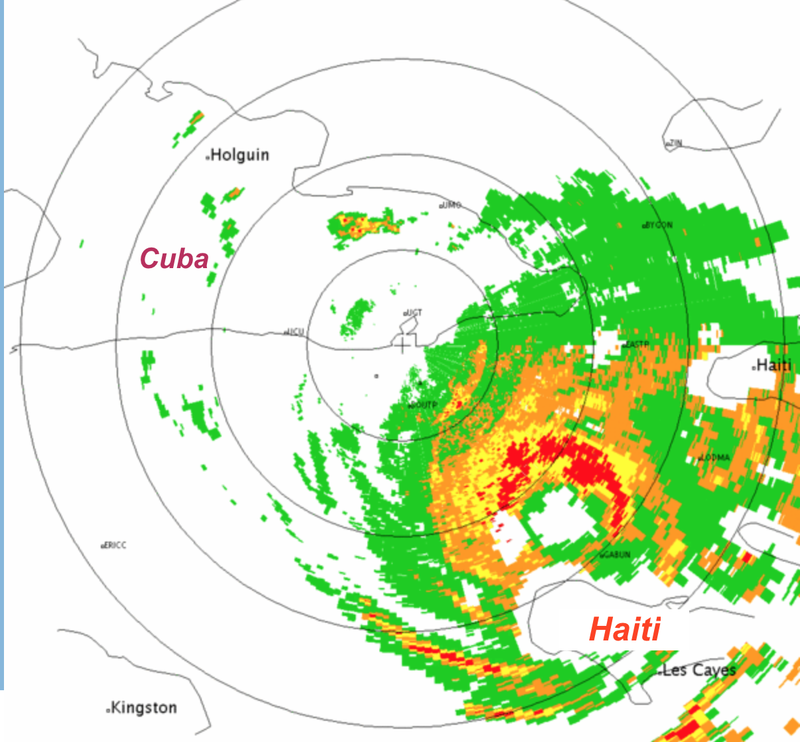 Eastern Cuba has mountains so it will likely take a beating there, as well. However, the water it is over is warm so it should regain some strength in the next few hours. Once it clears Cuba, it also will be over very warm water. Unfortunately, it should regain strength. UPDATE: Hurricane Hunter data from 11:42pm EDT shows pressures have risen very significantly to 952mb. Earlier this morning it was 934mb (lower pressures generally correspond to stronger peak winds in a hurricane). 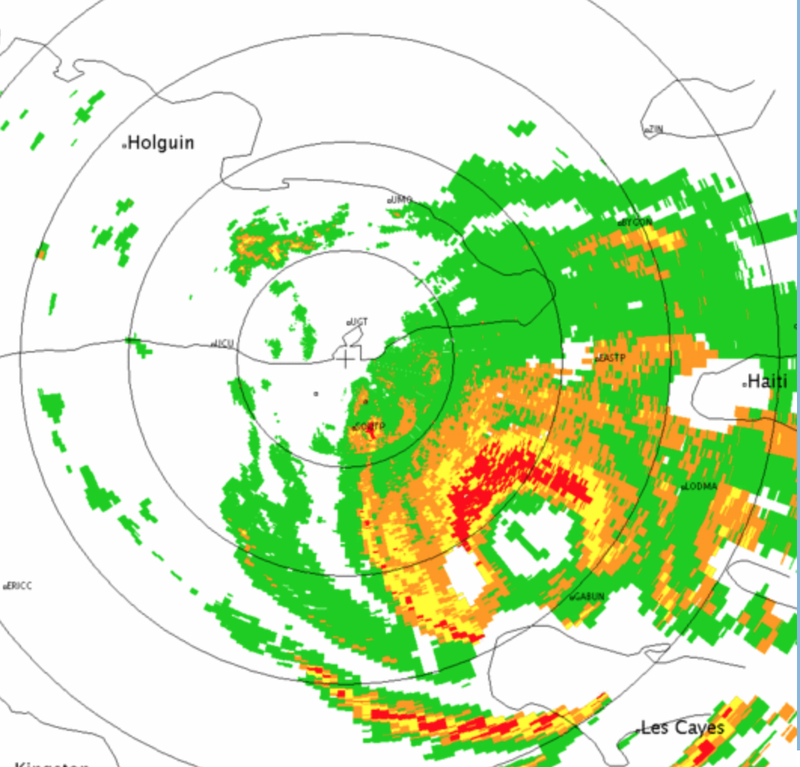 I'm not surprised given the radar view of the hurricane at that time. Here is an image from 1pm EDT and the eye is already starting to look "better." In Warnings, I briefly discuss meteorologists' inverted language. When we say the eye looks "better" we mean it is better organized and likely to have stronger winds. Better looking eye, as meteorologists speak among themselves, equals worse for humanity in general. THANK YOU to alert reader Eldon Radda for catching my labeling error. Now fixed. Mike, your first graphic has Jamaica written where Haiti is.